after sleeping for about a day and a half, i'm finally dragging myself out of the trenches and getting back to working and updating online. 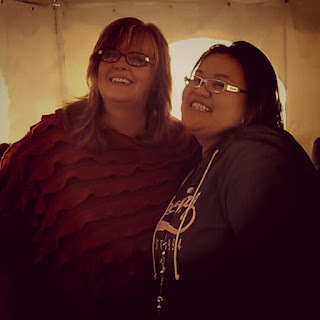 so here's my recaps of the last two events we just attended! 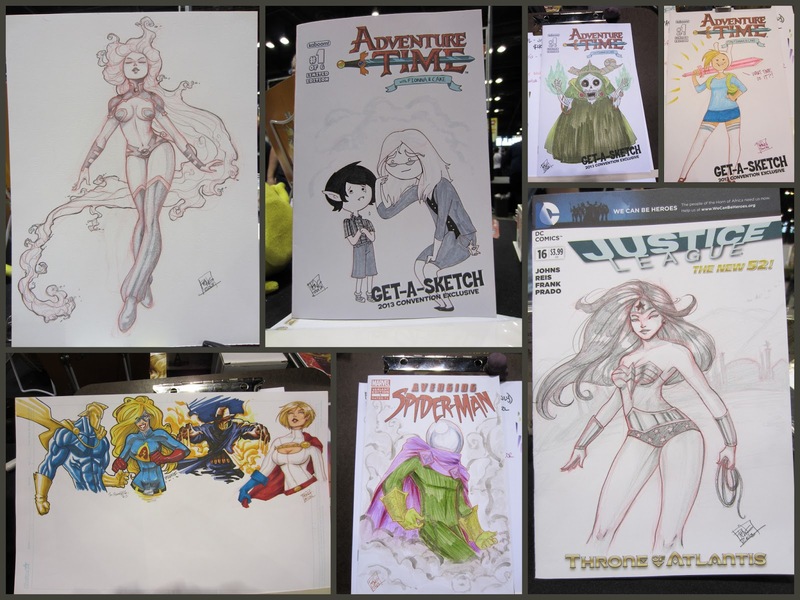 C2E2 was great! the experience and response from fans were definitely a huge improvement from last year. this year our studio is starting to set up as separate stations for each artist. what we've done in the past is put all of our stuff together in one or two portfolio books so people can get a look at everyone's stuff all at once. i've always been afraid to separate into stations, mostly cuz i thought i would be Sad Sally with nobody paying attention to me. but it really turned out quite the opposite and i can't even tell u how happy i was seeing people pick up my Octo-Pie and koi mermaid mini prints. because as much as i love drawing fanart pieces of superhero ladies, i have a larger sense of accomplishment knowing people are picking up my art for the art and not the known character. the guys (theFranchize and Flash) got to go up on the main stage and show people how they should be drawing Superman and Spider-man. =) i got to sit at the Girls Drawin Girls table for a couple hours each day to help out. they printed out a copy of my Octo-Pie and that sold on the first day. so yippee! all in all it was fun times! me and Gail Simone at fcbd - DOPE! 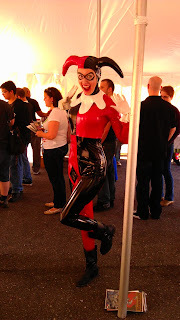 THE BEST harley quinn cosplayer i've ever seen. ever. 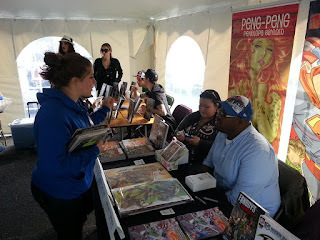 Free Comic Book Day - also great! Third Eye Comics really know how to do it up BIG for this day. i've never seen so many people lined up to get into a comic shop EVAR. the store opened up at 9AM and folks had been in line since 11AM the day before! that's right - AM! not PM! we got there at 7:30a and there was barely any place to park. it was ba-nay-nays! they had that Doctor Who photo booth out front and i'm sure people were losin their marbles over that. 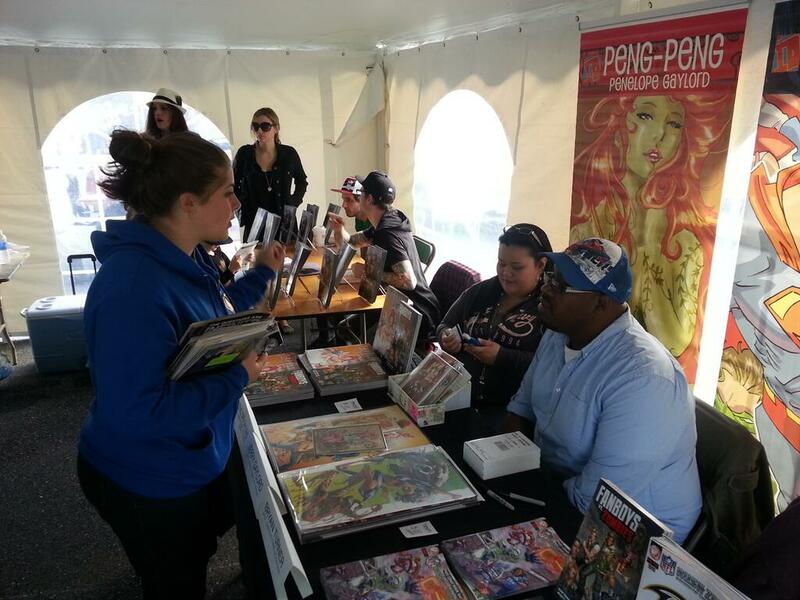 we were set up in the tent behind the shop with the likes of Gail Simone, Cullen Bunn, Joelle Jones, and Billy Martin. i got to talk to Gail one on one and even handed her a copy of my mini book to flip through on the plane. incredible lady in an industry full of old dudes. 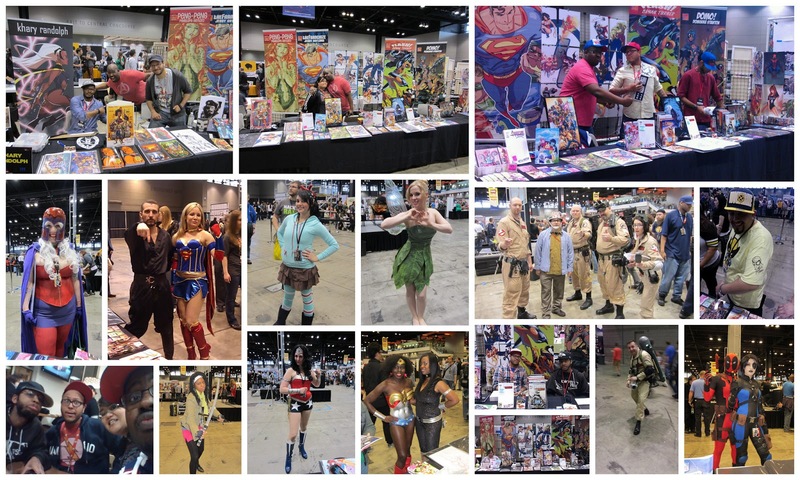 got to shake lots of hands, sign lots of Fanboys Vs Zombies graphic novels, and even sold some prints! 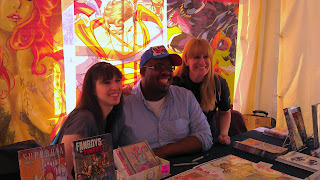 got to meet 2 out of the 3 ladies of comicosity.com's The Hangout and they are apparently pretty big FVZ fans. felt very much like a celebrity. can't beat the comic fans at Third Eye. they're the bestest. and even better than that, they had an incredible sale on everything in the store so we got to pick up some stuff for a great price. including my Hyrule Historia book! its such a pretty book with so much pretty stuff inside. bein a pretty huge Zelda fan, it barely gets better than that. next up, a small local show in La Plata, MD in a school called the ANS Sci-Fi and Comic Con. 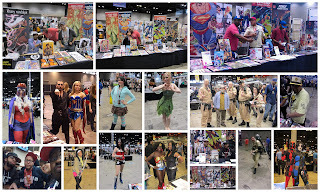 we're mostly there for Third Eye Comics but we should have some prints for sale. no rest for the wicked!! !